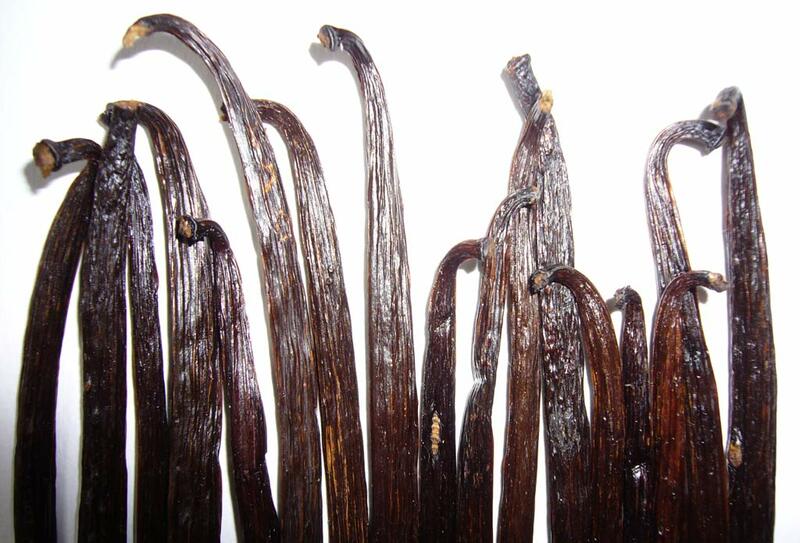 Vanilla beans reviewed:”A grade” and “B grade” Australia grown planifolia. 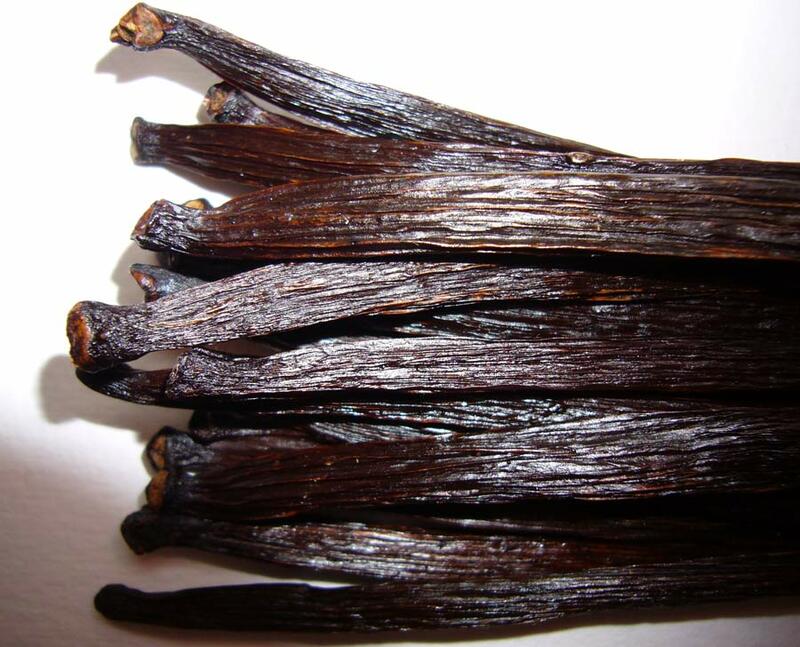 Cost: Daintree Vanilla & Spice sent sample vanilla beans. 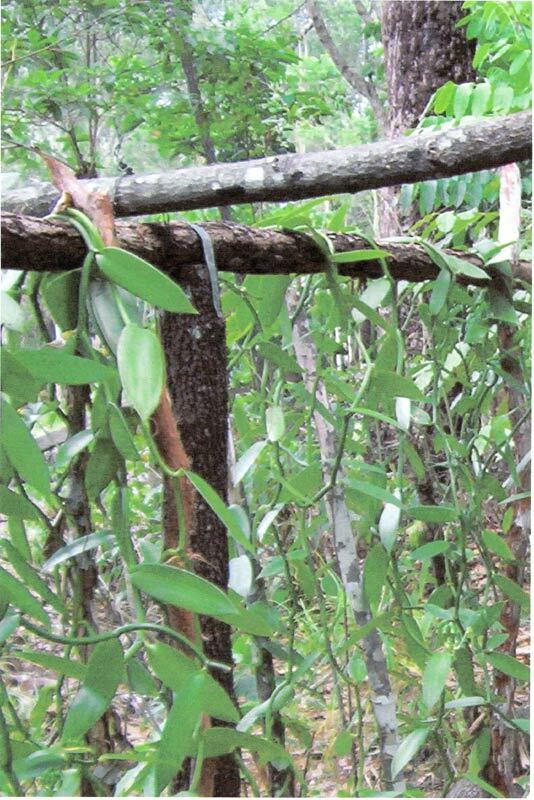 Daintree Vanilla and Spice is the first commercial seller of single source, Australian grown vanilla beans. 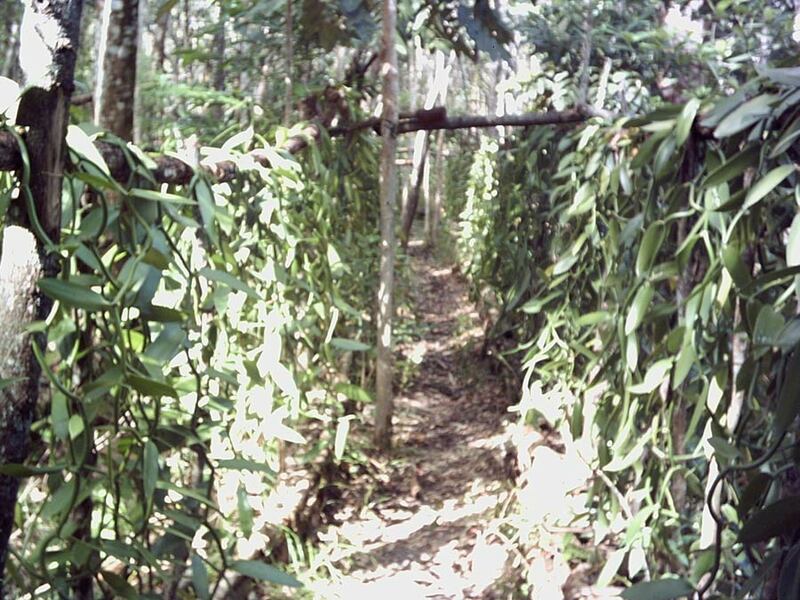 This organic plantation grows and cures vanilla planifolia beans in Australia’s Daintree rainforest. 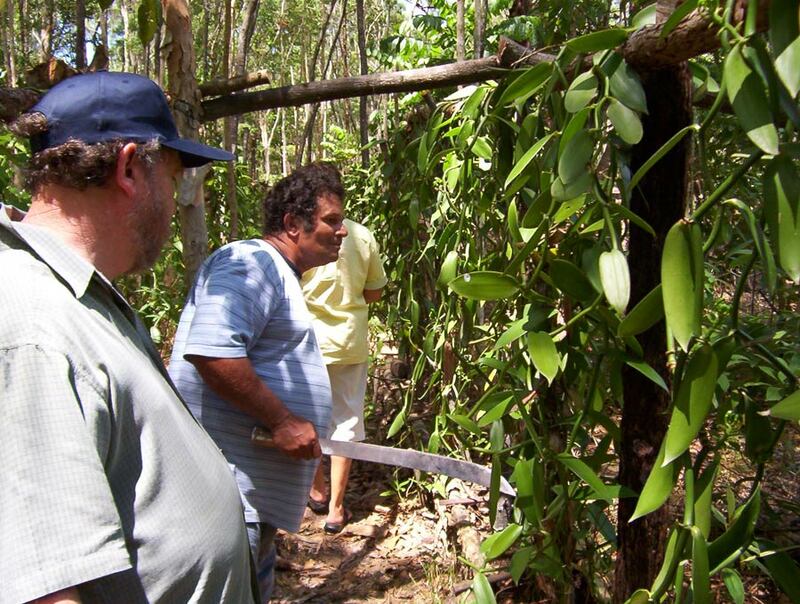 George Gonthier, general manager of Daintree Vanilla & Spice, is an Australian vanilla pioneer. 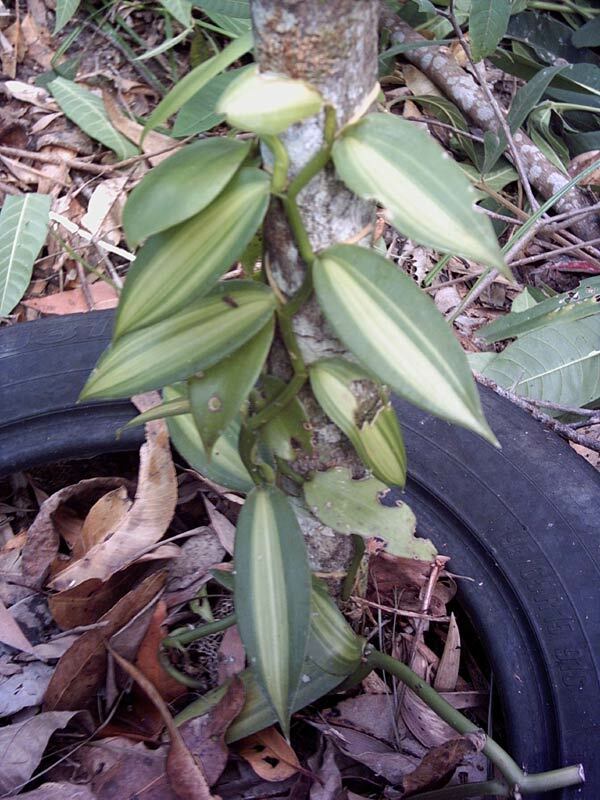 We have been growing vanilla in North Queensland, Australia for 10 years on a large scale in the Daintree rainforest and have been producing beans for about 5 years. 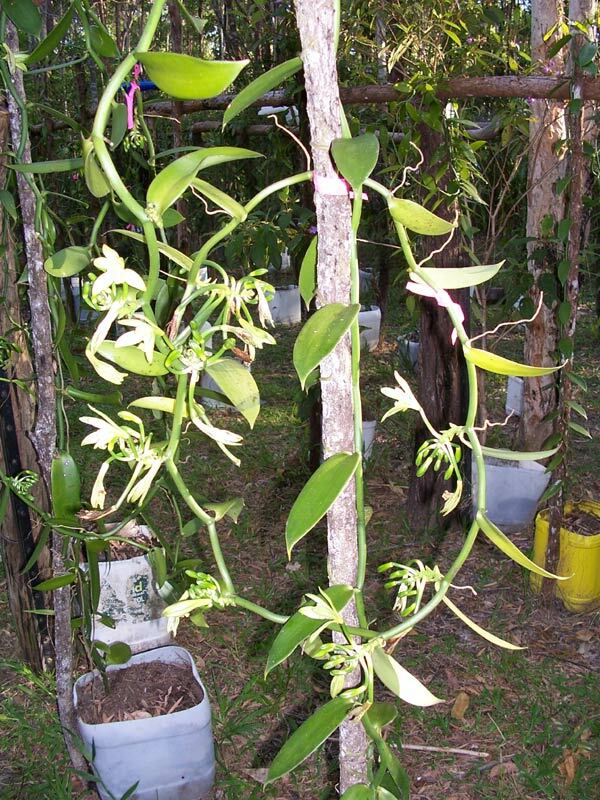 We are also working in collaboration with Australian Vanilla Plantation … and building a greenhouse for the University of Western Sydney to do research. 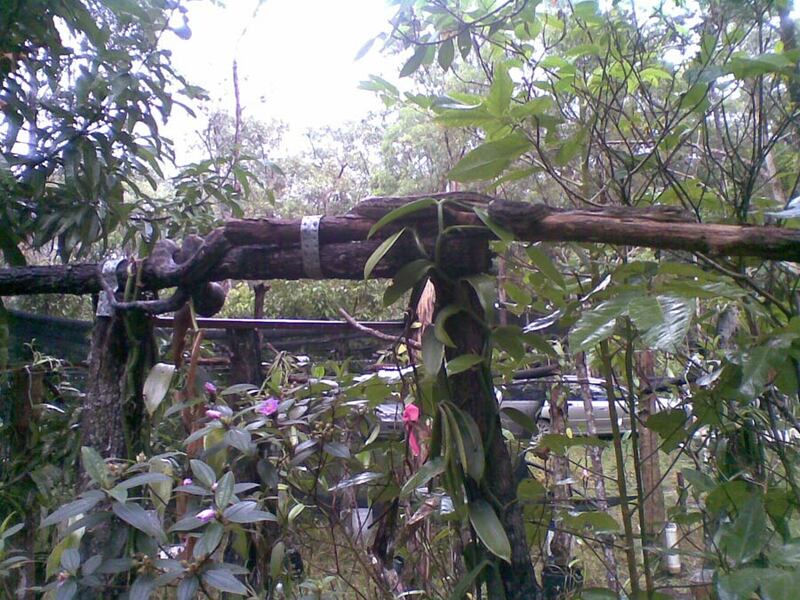 Pollination has just started again, we start off say 1 thousand flowers. That will increase to about 6-8 thousand per day at full swing until end of November. 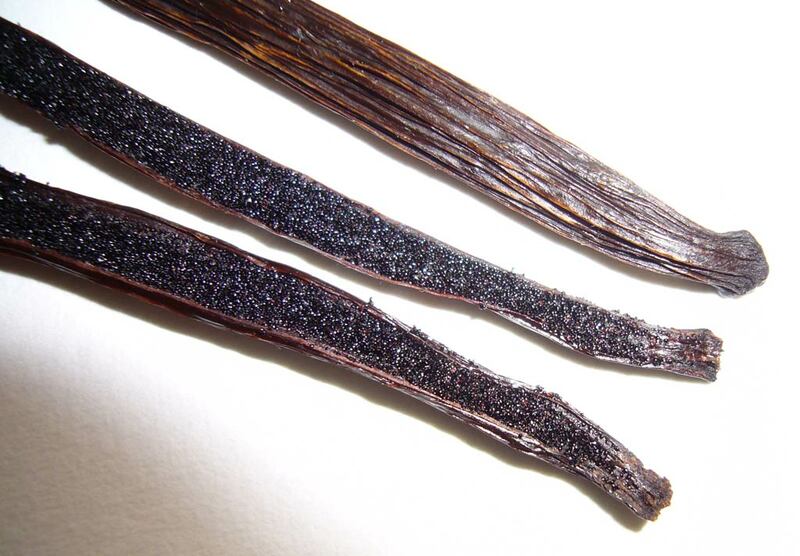 The pods samples are pure vanilla, no coconut oil or other oil additive. 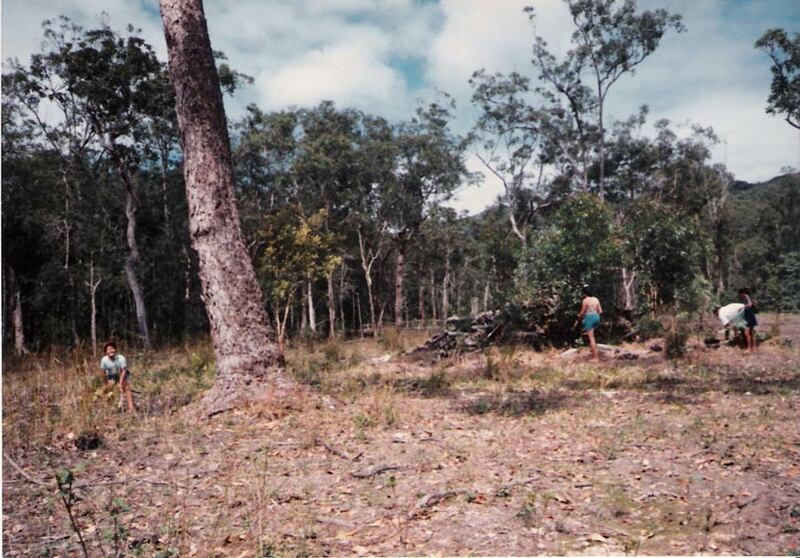 I also process the pods on the property. We pride ourselves as pure and proud to be Australian owned and grown. 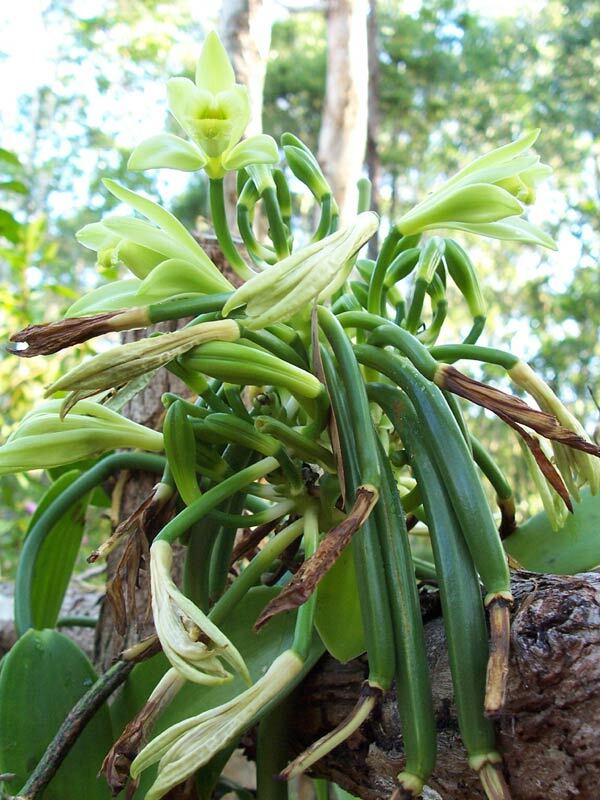 The beautiful Daintree website includes history of the vanilla plantation, and the family who operates it. 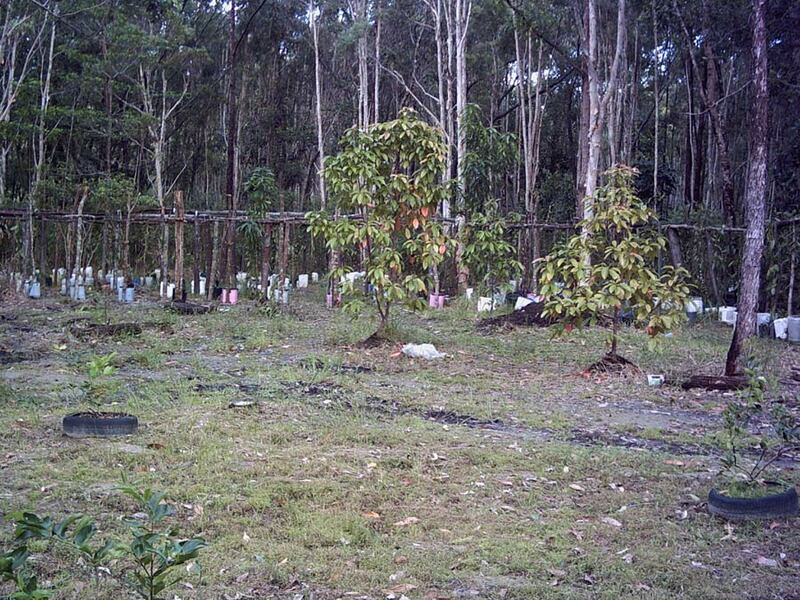 Cameron at Daintree sent these pictures of the plantation. 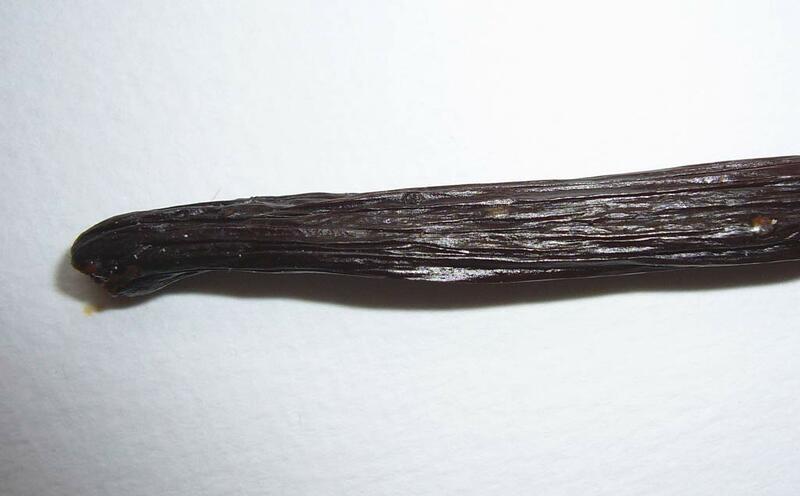 A single, beautiful Australian vanilla bean arrived packaged in a plastic tube. 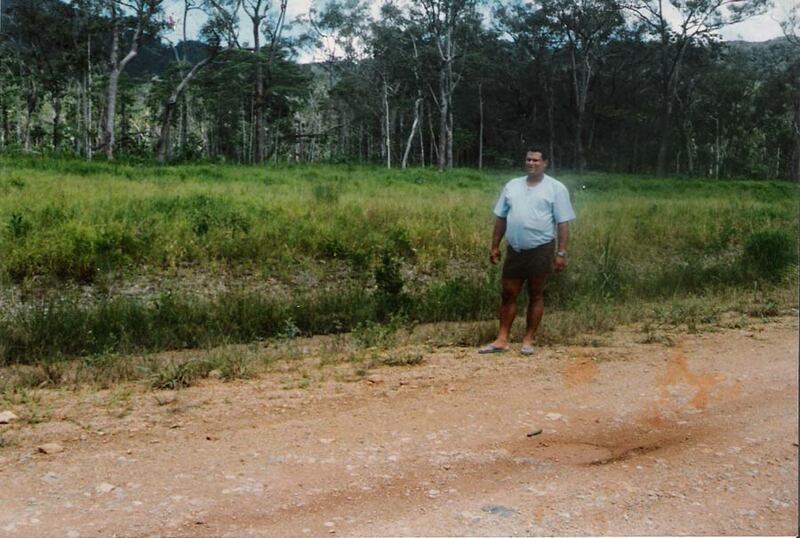 Daintree calls this “A Grade”, which I would call Grade A 16-17 cm. 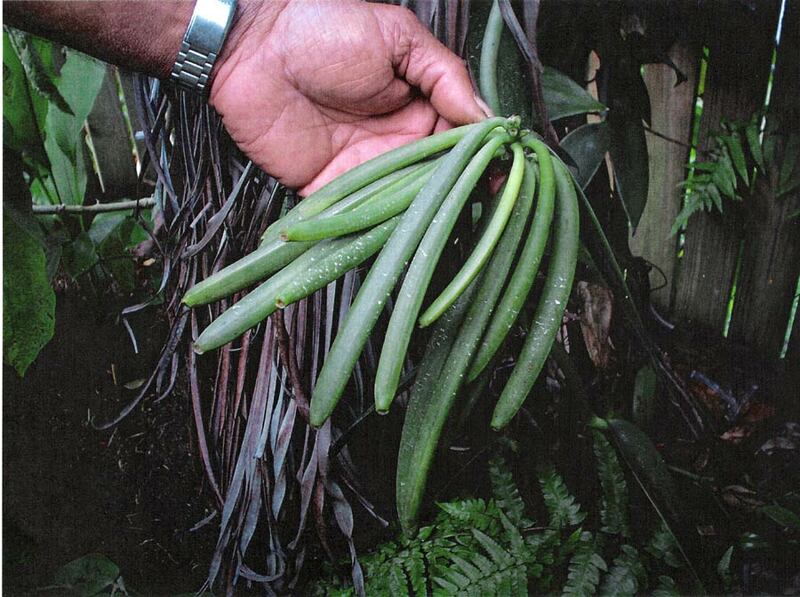 This is a gorgeous, single source vanilla bean, grown and cured in the Daintree rainforest in northern Australia. 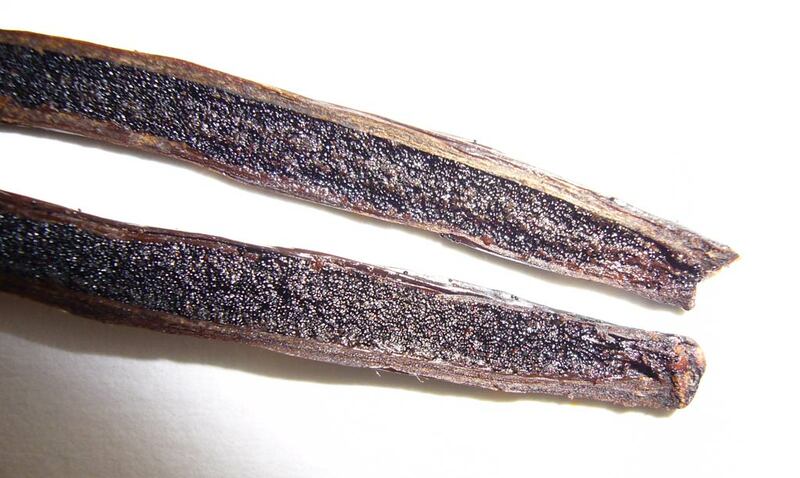 The vanilla bean is super flexible. 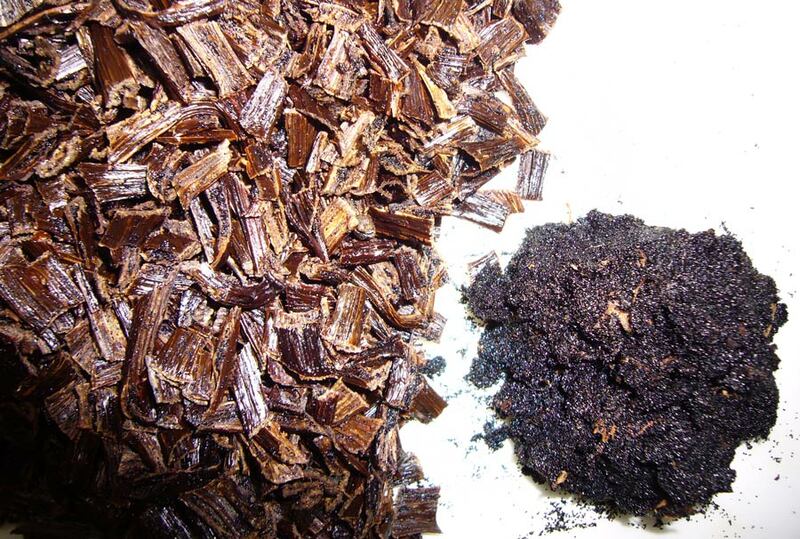 It is dark brown to black in color, and is waxy and pliable. The aroma is overwhelmingly creamy and soft. The caviar is wet and oily, with a few very goopy, sticky areas. Quite heavy and thick caviar, with a beautiful oily shine. 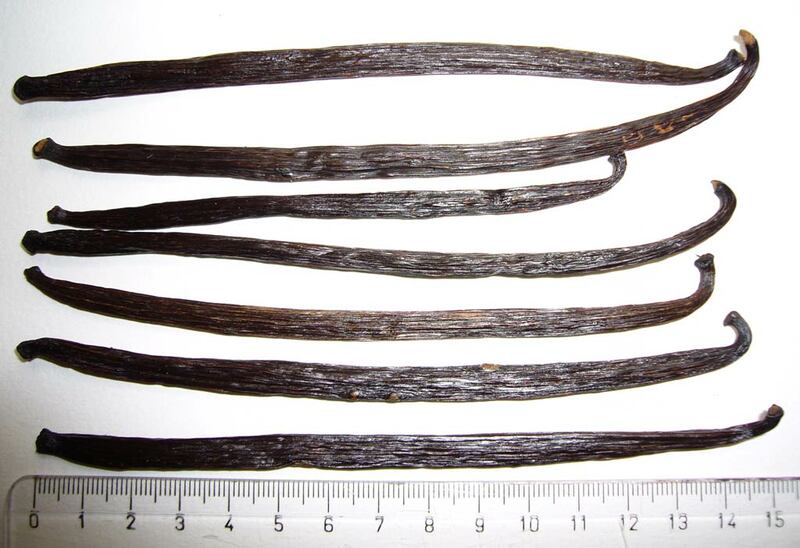 Caviar yield is average for a vanilla bean of this size. 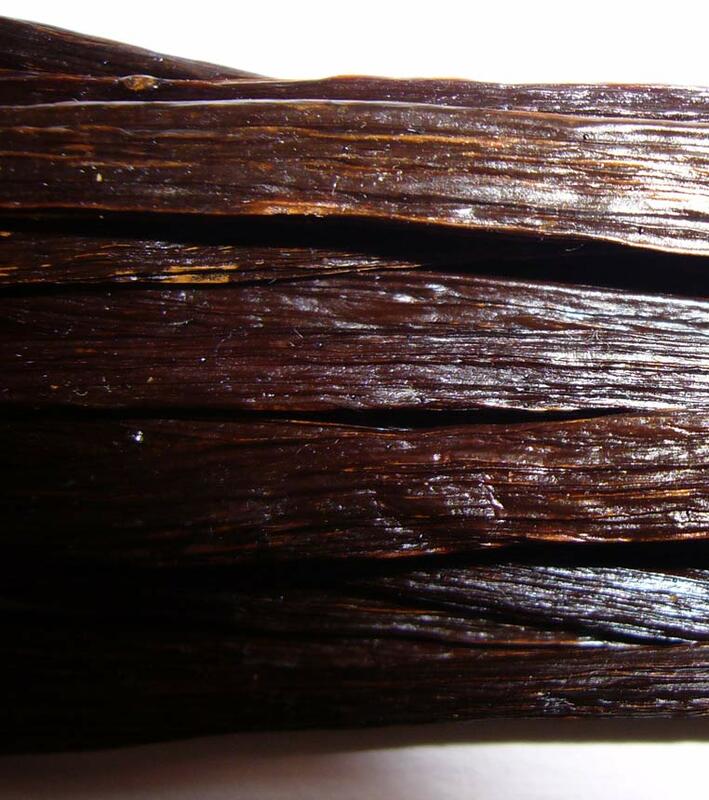 Twenty-eight brown “B Grade” vanilla beans arrived packed in wax paper and foil. Daintree calls these “B Grade”, but I would call them Grade A 16- cm, because they’re too nice to deem Extract Grade as the name implies. They are round, plump, straight and short. The skin is drier-looking than the A Grade, with a nice waxy finish. Like the longer beans, these weren’t vacuum packed, thus the skin remains waxy, rather than greasy. 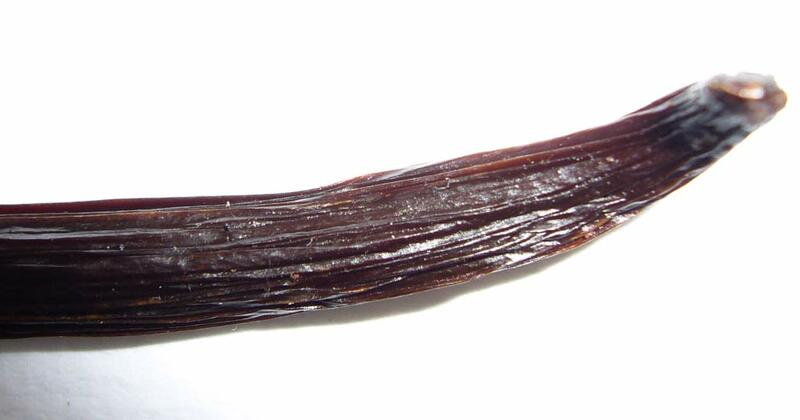 The vanilla beans are flexible enough to tie in a knot. Their reasonable size and elegant shape make them a beautiful garnish for high-end dishes. 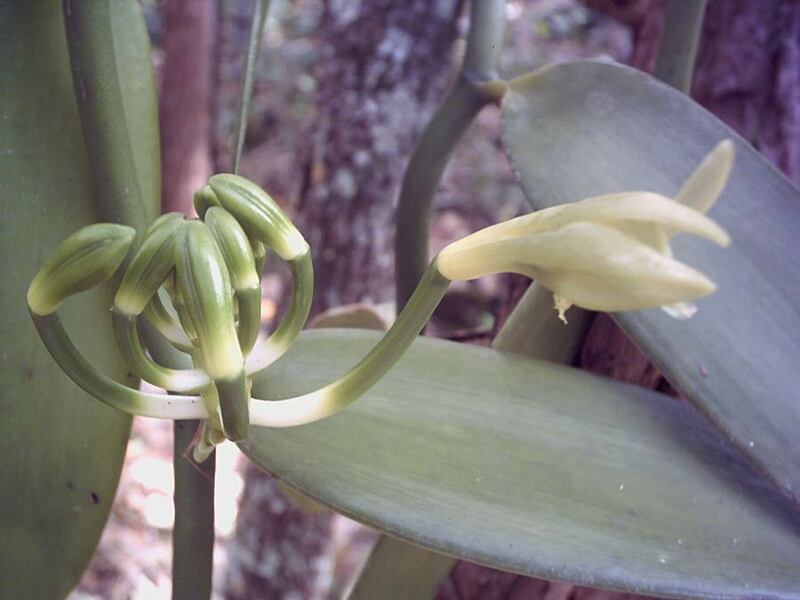 Inside, the vanilla has a creamy aroma that is very nice. Even though the outside appears dry, the caviar is heavy and oily. The beans are surprisingly easy to bisect. They appear hard to cut, but only require one swipe with the knife because they are so moist inside. The caviar texture is luxurious, soft and velvety to the touch. The caviar yield is above-average for such small beans. 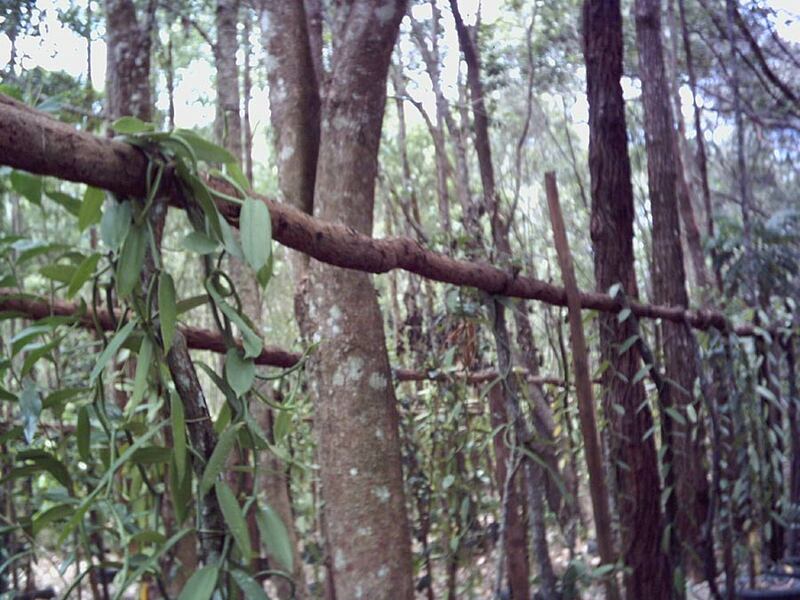 Daintree vanilla beans are single source, grown and cured in Australia’s Daintree rainforest. 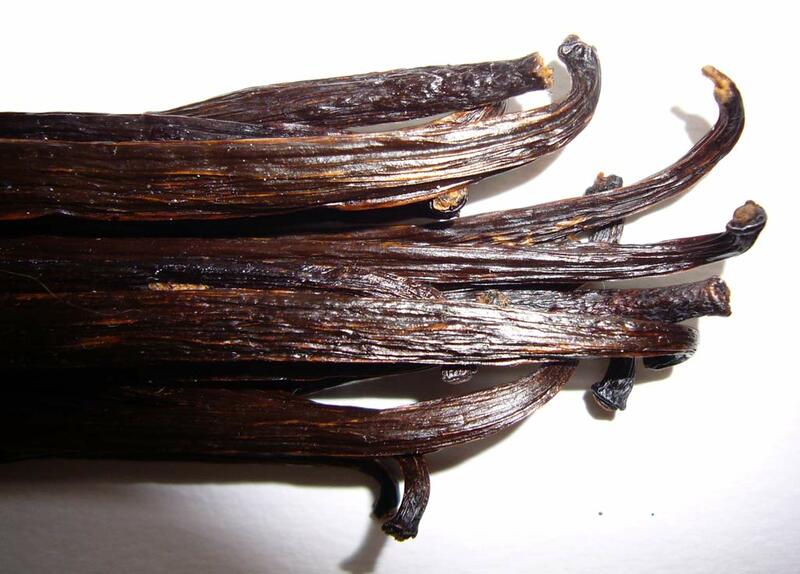 Single source vanilla is a real rarity in the modern vanilla trade that is dominated by central curing houses. 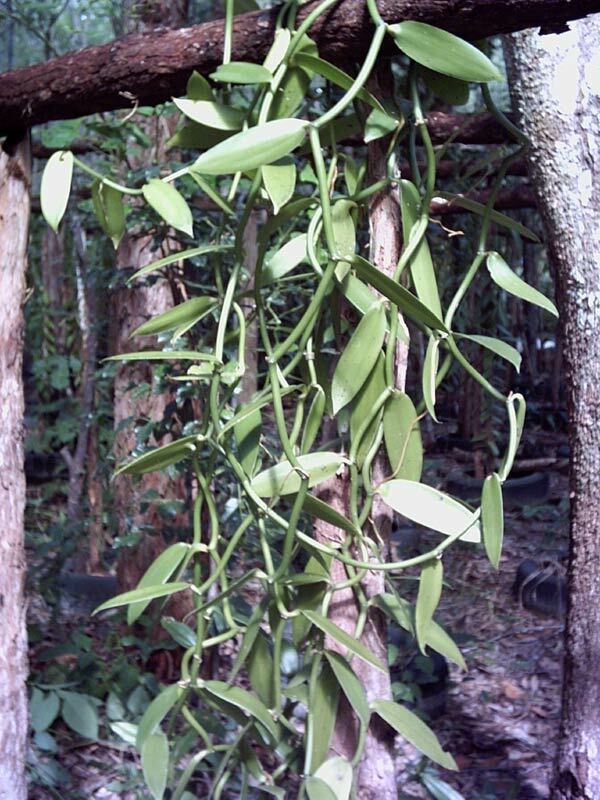 If you’re looking for unique, high quality, real Australia grown vanilla, then check out Daintree Vanilla & Spice. Lastly, we will like to thank the indexsy seo services for always proving us with the best services for this websites. 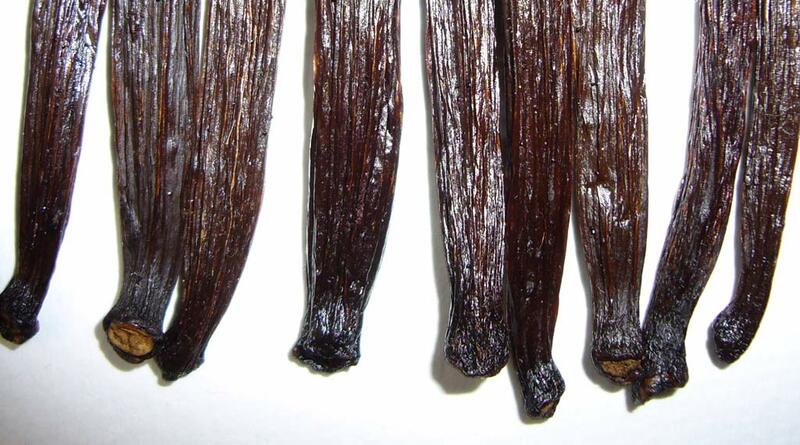 Hi George,I read your article on Vanilla with great interest.I presume you’re from Seychelles,like me.When I was running the Tea Tavern,connected with the Tea Company in Seychelles,I used to sell vanilla beans and other spices.I obtained the vanilla from Mr.Karl St.Ange of La Digue.Its a pity I did not know of your plantation when my husband and I visited Port Douglas last year for a holiday.However, we did go and see the Tea Plantation in the Daintree. 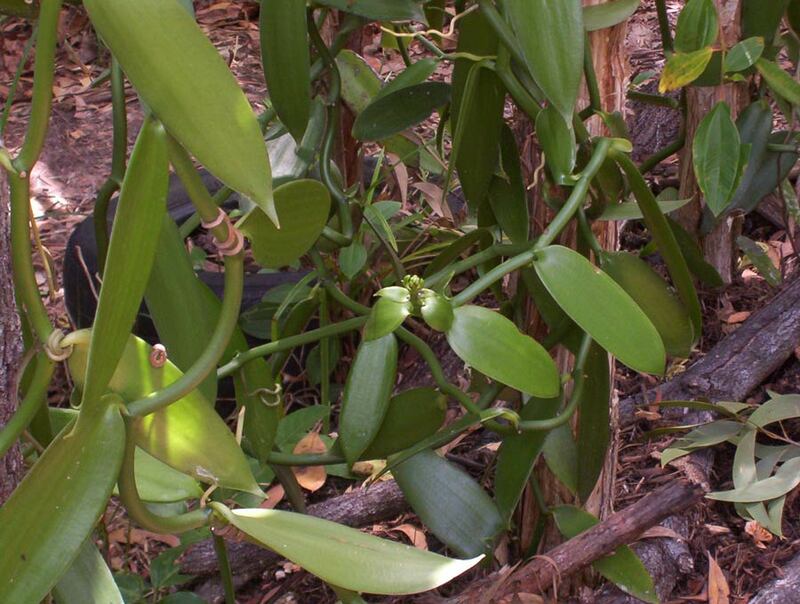 Its wonderful to know that vanilla is actually grown in Australia.Do you sell a small amount that can be posted.We live in Melbourne.Look forward to hearing from you,with kind regards from Sylvia Henderson. 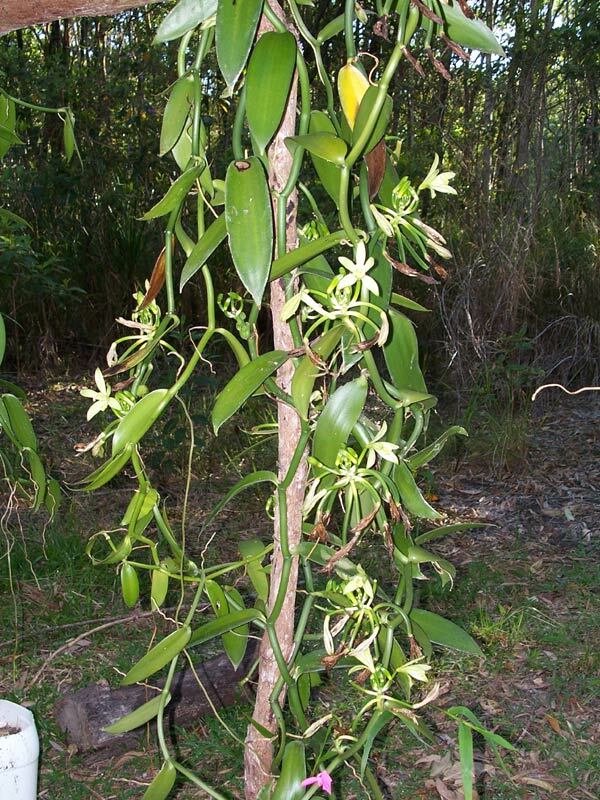 we loved so much George’s vanilla that we have become his distributor for Qld and NSW. By all means, get some beans from George but if you are in a hurry or have trouble getting a reply (George is often in the plantation at the moment) we’ll be happy to supply you with some. sorry Sylvia I forgot to put my contact details; you can contact me only info@thetruffleman.com.au or check http://www.thetruffleman.com.au. 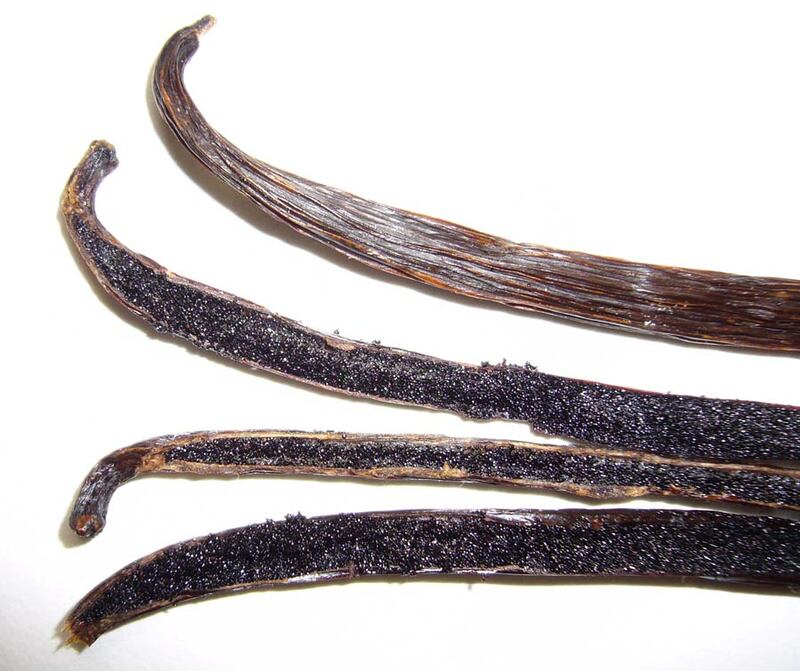 I recently ordered and received 50g of the A-grade vanilla beans (B-grade don’t seem to be available anymore?) based upon this review to make vanilla extract and sugar. The beans were definitely plump and moist and the caviar easy to extract – maybe a little too easy, since I scraped a fair bit of husk as well. It’ll be a long 6 months to wait until my extracts are ready! Hi folks, clicking on our website will take you to our range of commercial standard Tropical Fruit Wines. Including a full flavoured very rich Vanilla Port made from George’s Vanilla.